To show your support for the Museum’s mission and programs, please consider adding to your $75 membership by making a gift at one of the below levels. Gifts are tax deductible less the fair market value of benefits received. 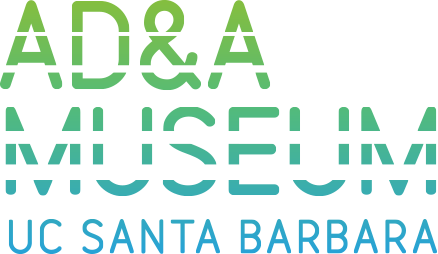 If you have questions regarding gifting to the Museum please contact the Development Office at 805-893-4193. Corporate partnerships strengthen cultural life in the Santa Barbara area and offer a unique opportunity for employee and client entertainment. AD&A Museum’s corporate members can receive special branding and can offer their employees or clients privileged access to the Museum’s programs and exhibitions. *All current students are automatically Museum members and are eligible to receive Member benefits. NOTE: We suggest that you mail the completed form with payment (check or credit card) rather than scan the form with your credit card information and sending via email. Sign me up! For Exhibitions and Events updates, please send your email contact information to Programs and PR Manager, Lety Garcia at lgarcia@museum.ucsb.edu. Thank you!